Although Blue Cross and Blue Shield of Texas (BCBSTX) places limits on the additional fees participating network physicians can charge BCBSTX patients, some are allowed when you provide concierge services. When insurance companies say "no" — whether through prior authorization requirements, step therapy programs, or nonmedical switching policies — covered patients find … well … they don't have the coverage they need. A new survey finds this "hidden health care crisis" hits tens of millions of Americans. As a result of recent changes in federal regulations, short-term health insurance plans aren’t so “short” anymore. Traditionally, short-term plans were meant to act as stop-gap coverage for 30 to 60 days, and were usually purchased by workers between jobs. Now short-term plans can be sold for up to 364 days, and can be renewed for up to 36 months. Get the latest news on health insurance from TMA. See TMA's plan of attack, an interview with TDI's newest boss, and how TMA is keeping insurers honest. Find out what you need to know about ACA Exchange Health Plans. Get the latest information on claims and payer policies. Ready to Fill Out the New CMS-1500 Claim Form? Monitoring the contracted rate in your payer contracts is an important step in managing your revenue cycle. Are you receiving the full payment due to your practice for every claim you file? Physicians have received more than 2 billion dollars in benefits from the settlement agreements reached with Aetna, CIGNA, Health Net, Humana, Anthem/WellPoint, and many Blue Cross and Blue Shield Plans as a result of class action lawsuits brought against these insurers by 19 state and county medical associations and physician representatives. Get updates on payer policies. Preauthorization: What If the Diagnosis Changes? Write Off or Collect From the Patient? Get the latest information on health care payment plans and prompt payment. 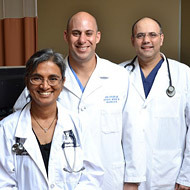 Get the latest information on physician ranking. Got Commercial Insurance questions? Call the Knowledge Center.